The Department of Experimental and Digital Design and Construction (EDEK) at the University of Kassel is looking for two Research Associates (50% EG 13 TV-H) for a research project on computational design and robotic fabrication methods for additive manufacturing with timber. 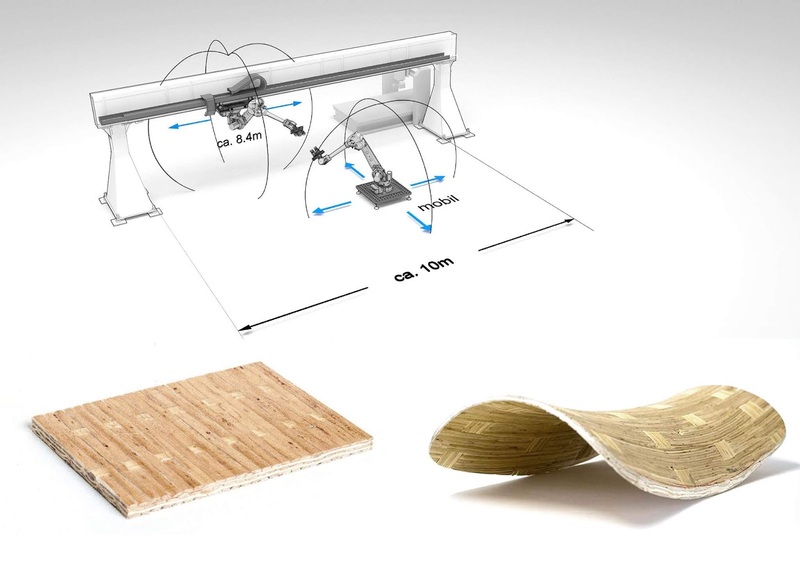 The project is linked to a research collaboration of six research groups at the University of Kassel in material science, engineering, arts, computational simulation, digital fabrication, and architecture. Tasks will include design work, material research, building prototypes in the robotic fabrication laboratory, and taking part in the general organizational activities of the department. Please send your CV, motivation letter and portfolio (max 10MB) to bewerbungen@uni-kassel.de, reference: 31865. English speakers are also welcome to apply. You're welcome to contact Prof. Philipp Eversmann (+49 561-8042352, eversmann@asl.uni-kassel.de) with questions.